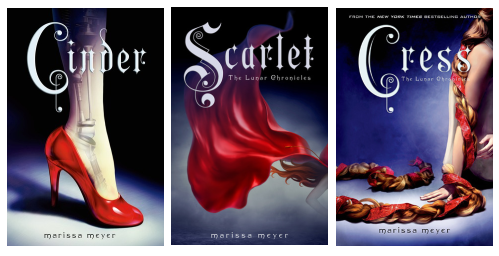 Marissa Meyer rides a tight wave between creating something completely new and fresh whilst acknowledging a well known fairy tale. She rides the crest with panache and perfectly bringing home the story which is loosely based on Cinderella. In her case, using Cinderella as a mere launching point is just the right tack to take. I’ve been on a YA spree of late and am perfectly happy to remain in it with writers like Ms. Meyer. Her blend of SciFi, adventure and romance is spot on. She uses well written, tight dialogue to bring out and develop her characters, deep and rich description to build her world, consisting of a future Earth and Lunar (Moon) and number of difficult scenarios to build interesting relationships. All of this wonderful writing however, is just so much gas for the engine of her fabulous story. Ms. Meyer is fundamentally a storyteller – it is the narrative arc that compels us to stay up much too late into the night reading her novel. Before I go on, I want to give a slightly different “full disclosure” – Ms. Meyer and I are both alums of Pacific Lutheran University – Go Lutes! I didn’t find this fact out until after I read the book, so there’s really no bias towards a fellow alumnus who is a depressingly large number of classes behind mine (hint: different centuries). So let’s step back and take a quick look at this story. Enter our protagonist Cinder; she’s the (mostly) unloved adopted daughter who, due to an accident, is a cyborg. Cyborgs are a caste below; they are not quite second class citizens. For most of her life, the only ones who care for her at all are her sister Peony and her robot Iko; Iko is probably capable of a deeper relationship than Peony. Cinder is the breadwinner in the family, working as a brilliant mechanic/electrician who skills range from fixing androids & ports (tablets) to repairing old cars. Enter one Prince, who needs his robot repaired. A whirlwind of adventure ensues involving plagues, politics and passions. One of the intriguing aspects of the book is guessing where the Ms. Meyer’s story and the famed fairy tale will intersect. Trying to guess when, where or if she’ll bring in a particular element of Cinderella was definitely part of the fun. A couple of other nice aspects of the story are that while Cinder bemoans her lot in life, she is not, on the whole, a whiner or complainer. Finally, it’s nice to have good guys and bad guys, with a few pleasant “nice guys” like Peony befriending Cinder. I know some will complain that the characters aren’t nuanced enough; they’re too black and white. None of them are perfect; Dr. Erland is particularly conflicted and willing to do whatever it takes for his, admittedly, laudable goals. However, back to the point: not every hero needs to be an anti-hero, nor do all the bad guys have to have deep-down nobility. I liked how the characters played out. Why is Cinder such a great story? Well, it’s a brilliant premise. Oh wait, maybe her story craft is so good precisely because of her tight dialogue, world building, engaging characters and intriguing relationships harnessed to a great story idea. The true worth of the book, of course, is how these elements are all woven together. There is no great story without good writing. Cinder’s character makes sense in the context of her world, her step-mother’s near madness ties in with the old story but makes sense in the new context. The pacing of the dialog is perfect for characters in this world. It’s also seeing the juxtapositions: Cinder/Cinderella stories, modern cyborg/dusty old marketplace or devastating disease/beautiful castle. We do care for the characters and the country they inhabit. I could go on about the story, but without revealing any spoilers, I will simply say catch up on your sleep before you start and start on a Friday. You won’t want to stop. As is my practice, I went back and forth between the Kindle and Audible versions (using the magic of Whispersync for Voice to keep moving), although I did a lot more listening than reading given the fabulous narration of Rebecca Soler. She has definitely entered my pantheon of beloved narrators. Her voice is a natural for Cinder so her talents truly shine when she has to stretch out and voice Dr. Erland, Prince Kai and the impolite tones of Queen Levana. I also love her enthusiastic Iko. She maintains each character’s voice in the the quick give-and-take dialogue Ms. Meyers uses. Overall her pacing gives you a sense of the urgency and excitement of the story while being able to follow it easily. I’m really glad she narrates the other books in the series. I’m looking forward to Scarlet and Cress. I highly recommend Cinder to young and old alike. 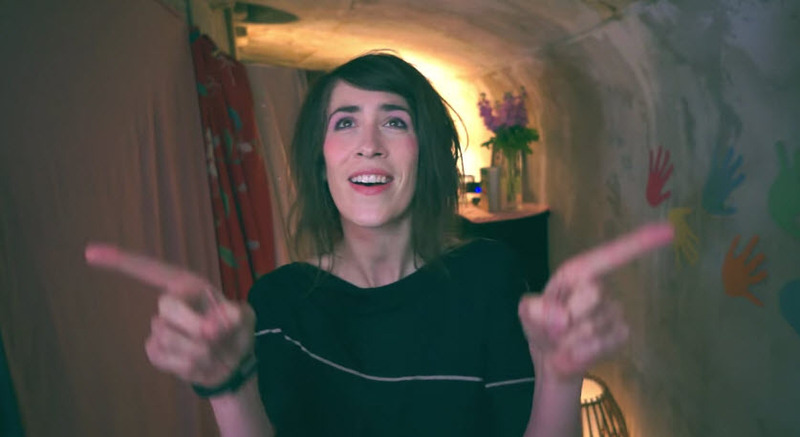 Imogen Heap, innovating once again, has released music videos for her upcoming album Sparks (will be released August 19th). Usually you’ll get one or two teasers but she gives you a full picture. If you haven’t chanced upon Ms. Heap’s music, she has a beautifully unique voice which avoids making every song sound alike by her incredible range of songs, embracing experimentation and her impeccable performance. There is a sense of magic in all she does, by which I mean fanciful flights of delightful surprise. She weaves technology, cultural themes and haunting beauty into her songs in contrasting ways. 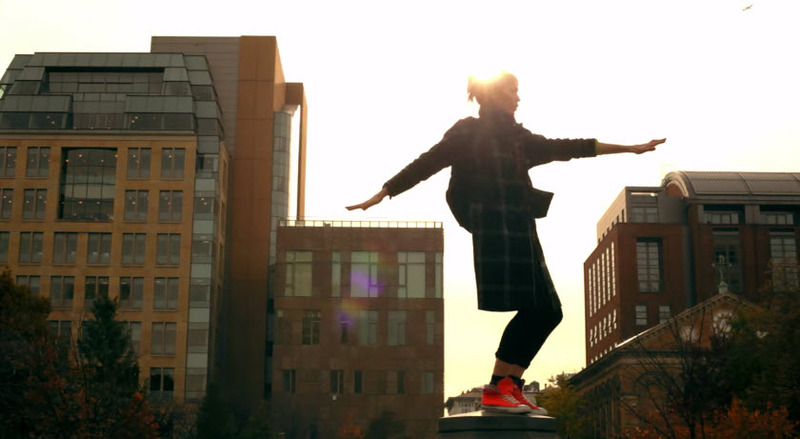 For example, look at the music video of Cycle Song. 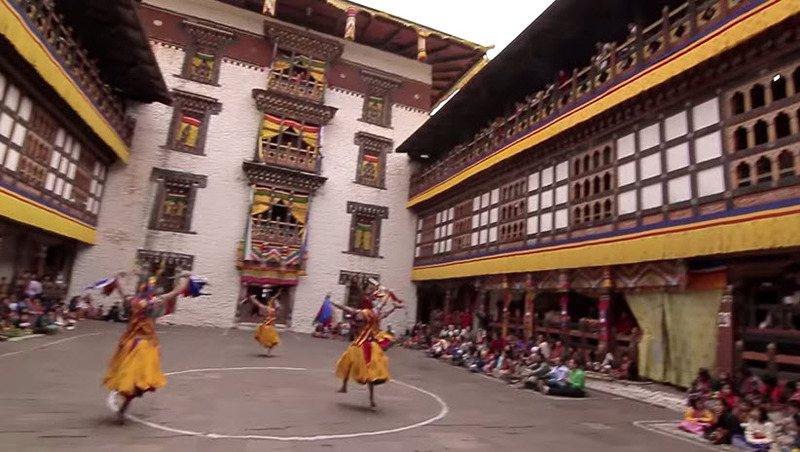 The content is about as old school as it gets with Buddhist monks in Sakteng, and folk dancing. Yet it uses time elapsed photography and a contemporary tempo to the music which pulls in elements from Buddhist chant in more modernized setting. You know we’ve had it good, we’ve had it bad, so no hard feelings. We’ve done all we could and all again. I’m done pretending. She also can be somewhat serene and philosophical as in Neglected Space, wherein we primarily look at the neglect of each other but also at the negative space between things, that land, emotional and otherwise, we neglect but could be a place to learning and refreshing. In closed loops and future-proof cardboard to caviar. Let’s show them how good we are. If you look after me, I’ll look after you. I could go on, but you’ll form your own views once you listen. I will simply say that I am eagerly awaiting Sparks but until then I’ll love viewing her music videos multiple times. 1. How did NEXT Manga get started? 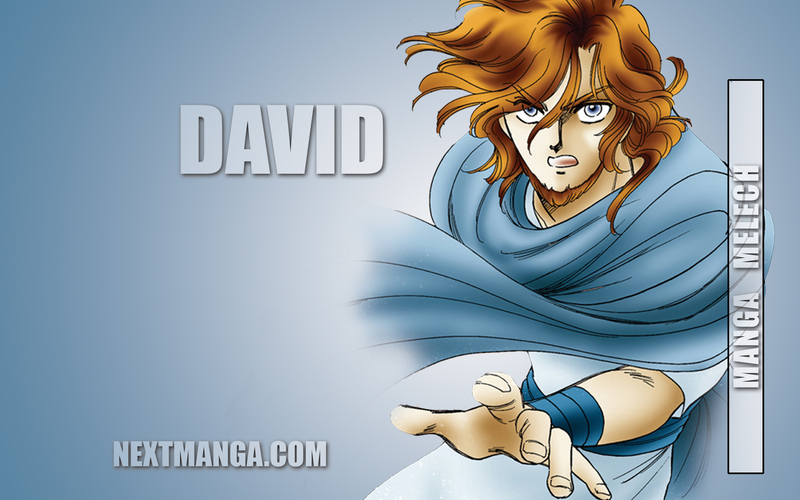 What was the driving force behind delivering Bible stories in manga form? Our founder Roald Lidal has been active in Bible ministry for many years based out of Tokyo. As a publisher, he could see the growth in graphic novel sales, and through prayer saw clearly that this was a place where the word of God was needed. 2. How did you get involved? What drew you into this? Next is a non profit social enterprise organization with a “one4one” model, meaning that we partner with many other organizations to reach people around the world who would not ever be able to buy, for example, a Bible story for themselves. Social enterprise, particularly by those encouraging one another with the Good News of Jesus Christ, is a passion for our family. Several of those involved with the non profit management side of the Next ministry are effectively a small group at our church in Seattle. It was pretty natural for our family to get involved. 3. What are a couple of your favorite stories and why? Oh that’s a tough question, like picking a favorite child! I often break out the manga when on airplane flights. Once I was reading Manga Messiah, and during the recounting of the passion, I noticed a woman across from me was also reading along and had tears in her eyes. I gave her the book! I notice that the trailer for the upcoming movie about Moses directed by Ridley Scott could be a “book trailer” for the close of Manga Mutiny and beginning of Manga Melech. 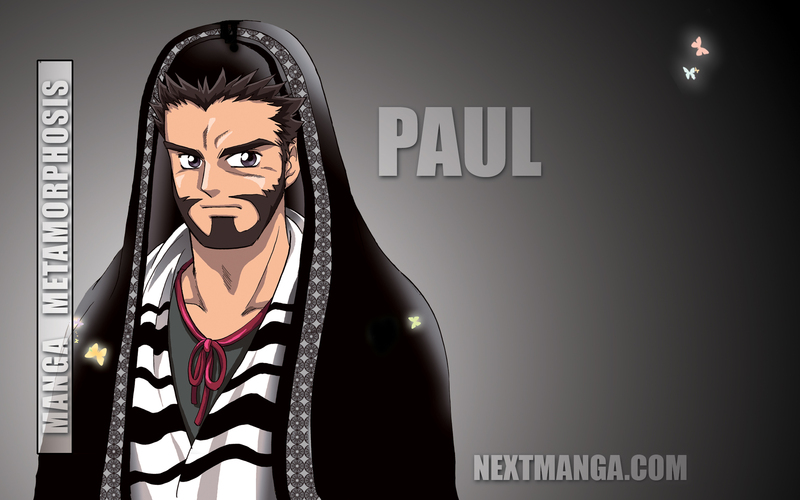 But it is hard to top Manga Metamorphosis for power-packed excitement and instruction in the Christian life – Barnabas, Silas, the tent-makers Priscilla and Aquila, on and on. Its the book in the series that Pastors tell me they turn to when working on preaching points, which is quite an honor! 4. What impact of the series has you seen? Any stories that exemplify the power of sharing the gospel in this format. 5. Any stories of those driven to a deeper reading of the Bible through these stories? These questions really go together, and its been amazing. With translations in over twenty five languages (and growing, rapidly) and over five million in print, we constantly receive stories that are so encouraging. Young children not only learning to read from the books, but then receiving Christ into their lives and then immediately telling the Good News to others, and full of questions – wanting to read the Bible with their pastors and go deeper in relationship with God. From youth pastors around the world we have heard that they were introduced to the series by the kids themselves, who then want their help to get into the global youth culture anime scene and participate in cosplay in order to act out the stories of the Bible. Pastors telling us how amazing this is, how they are literally running to keep up with this excitement. 6. How would you respond to those who suggest that manga (or any graphic novel format) is inappropriate for Bible stories? It never really happened much, and now hardly at all. We love all of the ministries involved in this scene – the new graphic novel project from Ravi Zacharias for example, and others like the Action Bible, which is very cool and done Marvel Comics style. More and more folks are learning that the graphic novel format is the most popular form of publishing in the world. Western style comic characters dominate popular culture in movies, but manga is actually more popular worldwide. Many people are visual learners – they really appreciate how reading our series subsequently helps them with comprehension of stories and concepts from the Bible, and helps them deepen their faith. In North America, Christians are increasingly aware that anime conventions (and cosplay) are hugely popular – and are delighted to learn that the Next Manga series is in that scene – as well as ministries like Jesus Otaku. 7. What goals do you have for Next? As a non profit ministry with a one4one business model, we are passionate about working with translation ministries around the world to bring the series to more and more people around the world. We need to partner in order to do that, and we love that. Its logistically challenging and a huge financial mountain to climb – but its what we are called to do and we love it. No other ministry has ever been this deep into global youth culture, social media and outreach in more languages with stories from the Bible in the world’s most popular publishing format – all the while working hard to give one away for every one they sell. In order to do that we have to go more and more to scale – which means becoming ever more customer-focused and market-driven. And if churches want to get together, or foundations, or ministries – to help us move container loads to the unreached, give me a call! 8. Any upcoming projects you would like to share? In a couple of months we will release Manga Messiah in eBook format (Kindle and Nook) which will allow readers to access the series on virtually any device. You heard that here first! 9. I saw that y’all have had concerted drives to deliver content in Japan including encouraging those in Fukushima impacted by the disaster there. How has the work there been received? The Next Manga series tells God’s story of love for His people, and presents His grace, forgiveness and comfort in our times of trial. To present that through authentic manga from people in their own country has been huge for people in Japan. We were honored to participate in care teams in disaster affected areas. 10. 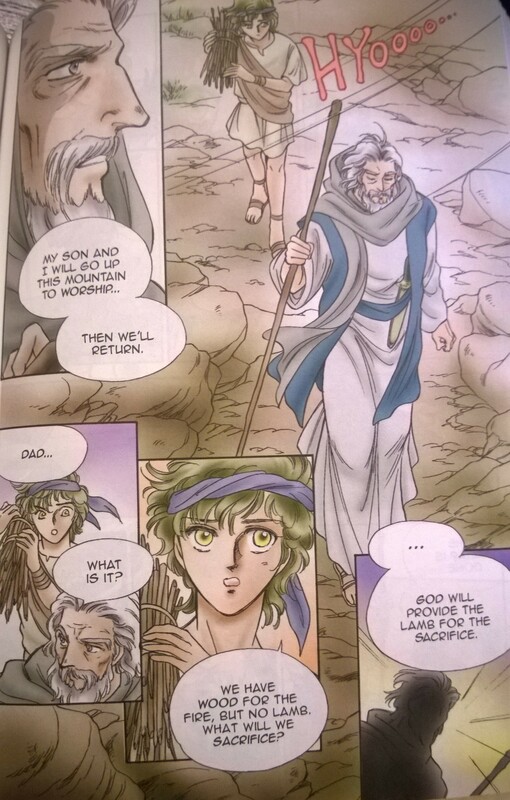 What does delivery of Bible stories in manga position you to do what you may have difficulty doing if delivered in a more traditional manner? We have been very privileged to see how presenting the Good News to people through the graphic novel format and as authentic Japanese style manga -from the young to very old and everyone in between, has meant they want to interact: Kids start reading it aloud to younger kids, and even more kids then start acting it out street theater style as it is being read. Manga is very conducive to sharing. And we all know that to be ‘shown’ something is easier than just simply being ‘told’ – so we are humbled and thankful to see what so many are doing in response to hearing the Good News of the Bible in this way. Scott, thanks for taking time to give a bit deeper look into Next and the Manga Bible series. (meaning King) takes you through entry into the promised land to the end of David’s rule. 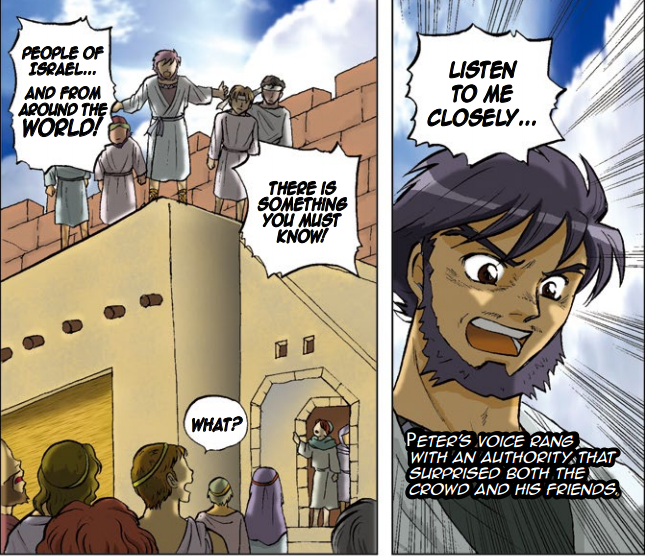 Manga Messengers takes covers the prophets up through Malachi. Manga Messiah covers the gospel and Manga Metamorphosis cover Acts. There are many of these places where the intimacy and immediacy are portrayed – Nathan’s accusation of David (Melech) and Moses’ sight of the promised land with the bitterness of not being able to enter (Mutiny) are a couple other examples that come to mind. For those of us who are well versed in Bible stories, how does these stories take us out of the mode of rehashing old stories? They pull us out culturally. You’ve never seen Paul or David like this before. There are times when I’m ready for the Kung Fu to ensue, but seriously, all of the predisposed cultural wrappings are gone to allow the essence of the story to come through. They provide a sense of immediacy and action. As the gospel spread in the early days of the church, there was tremendous growth and change. Like Mark’s gospel, these are action packed stories that remind of us the sense of urgency within the early church. They provide a fresh way to share God’s redemptive work throughout human history. What about benefits for those who are young, have challenges with reading or have cultural blinders on that make reading the Bible difficult [By the way, I’m not suggesting that magna or any graphic novel is just for those who can’t read, they are a viable form of literature in their own right.] Clearly the Next series provides access to stories to which they may not have access or avail themselves of that access. Now, let me address some potential concerns. 1. These stories may distract people from the Bible itself. 2. People may confuse these with fictional cartoons thus putting in jeopardy the historicity of the Bible. 3. These stories dumb-down the gospel. First, ultimately, of course, my desire, and I believe the desire of the folks at Next, is that those who are introduced to Biblical stories will be pointed to their source. As fabulous as these stories are, they are supplement to, rather than a substitution for the original source. Second, there are works of fiction in print just like the Bible; the magna format does not, in itself, suggest fiction and the way they are presented in the Next Magna series clearly communicates otherwise. Finally, it is really a misunderstanding of graphic novels in general, and manga in particular, their just for people who can’t be bothered to read. They are their own genre and art form. Do we suggest poems for the ignorant because they’re shorter than novels? The convey thoughts differently. In summary, the Next Magna series is a vibrant, faithful look at Bible stories that provide a fresh and unique viewpoint in which to be immersed in and engaged by God’s love and redemption for His people. It also does a beautiful job pointing to the source of those stories – God’s word. I know for me, it’s been a great way to reorient myself to well known stories in a fresh way. 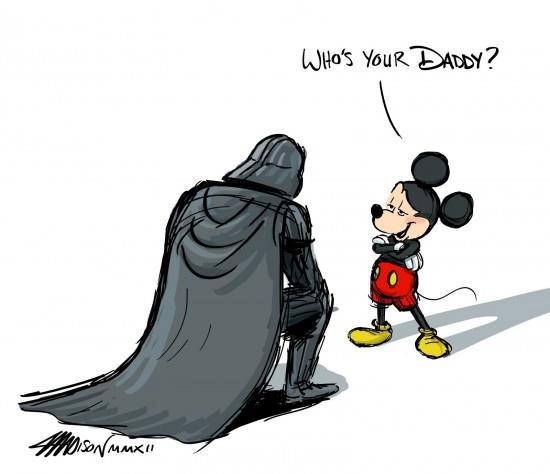 OK, I admit a little bit of skepticism when Disney acquired Lucas Films. 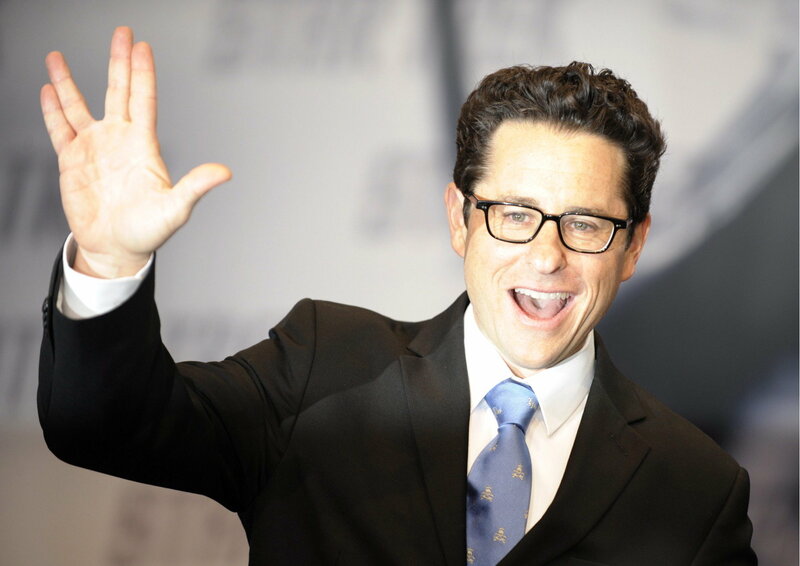 Now, however, my fears are not only wiped away, but in their place is unspeakable joy and geeky giddiness. Yes – the acquisition has allowed Phineas & Ferb to join Luke, Han, Leia and all the gang in Star Wars. Woot. The very pinnacle of my cultural calendar is July 26 – a Saturday evening that will live in glory. 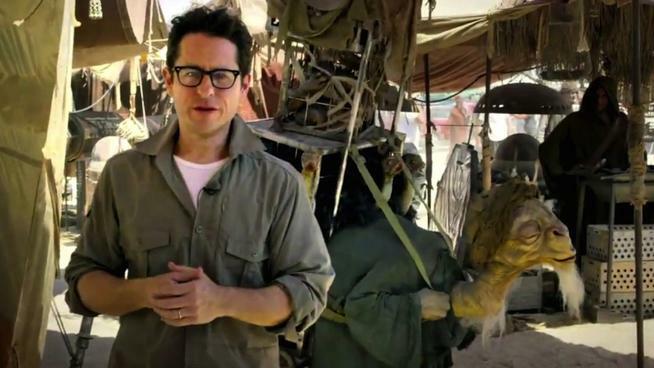 Now, I know some of you will simply point to this as perfect evidence that the Star Wars franchise will be used and abused by Disney, but come on, seriously, this will be fun. I had an opportunity to see Phineas and Ferb Star Wars (on a big ole screen) and remember why I like this show so much. All the references were done with near perfection. I saw this with my teenage twin boys (15) and they had as much fun as I. The songs, while not ready to hit the top 10, were spot on. The integration with the Stars Wars was deftly done and Ferb as a Sith Lord is something to behold. I love the mods to the light sabers. So, in many ways, it was exactly what I’ve come to expect from the show and it delivered in spades. If you missed it tonight, catch it as Disney airs it again. We devour your story and salute you. 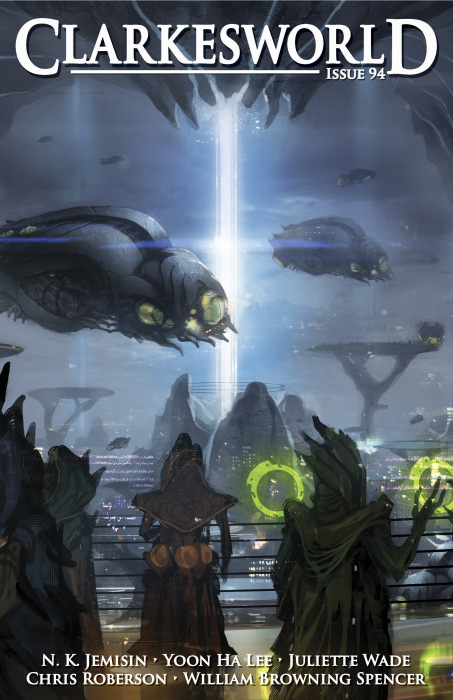 There is a long and illustrious tradition of science fiction short story whose expression still finds its modern home in places like Lightspeed, Tor, Clarkesworld, Fantasy & Science Fiction, Analog and, relatively recently joining the party, Bastion. The exciting thing is that this is not an exhaustive list. A lot of vibrant work is happening right now in SciFi short story. Before we start off with a young writer in a young magazine, Hannah Goodwin and her Dreamers of many tales in Abandoned in Bastion, let’s bask in the wonderousness (it’s a word now) of the cover and the beautiful work by Milan Jaram. Ms. Goodwin explores the importance of story in our lives in the form of Dreamers who have and share stories. In Red Rubber Nose, Robert Quinlivan explores the directives (laws) of robotics that the focus on entertainment rather than avoiding harm to humans. This may also be a lesson for setting our priorities correctly. Both of these stories are beautifully done. The headliner short story is Axel Taiari‘s Degausser. Mr. Taiari writes a SciFi techno-thriller that ties in love, loss and family in a tightly developed world in which there is simply too much to bear. (What it is about French writers, and those raised in France, that they produce such wonderful short stories? It’s not as if our Gallic friends are revered for their terse tongues.) Mr. Taiari is able to build suspense, provide action, lay out background and create relationship in a brief piece in a perfectly poised way. He does so in a manner that epitomizes what I love in SciFi short story: his side-ways references, hints, presumptions and responses establishes this whole world with back-story and character’s relationships in the blink of an eye. Interweaving three story sub-plots and bringing them together in a conclusion as precisely executed as his protagonist’s heist is extraordinary magic. More lovely cover art, in this case by Albert Urmanov for Clarkesworld’s latest issue. (Of course, SciFi magazines have been known for their covers). Among the stories I will highlight here are Yoon Ha Lee’s The Contemporary Foxwife. It is an exquisite story of family, obligation, graciousness and entertaining angels (or Foxwives) unaware. Kanseun has challenging relationships with her Older Father, her roomate(s) and, to be frank, herself. She is confronted with these relationships and herself through dealing with a Foxwife who shows up (or not) on her doorstep. For a special treat, listen to Kate Baker narrate it. Ms. Baker could read the phone book with that velvet voice of hers and I would still fall all over myself listening. N. K. Jemisin‘s Stone Hunger is a stark story of a girl who lost everything when “the world broke.” She became a monstrous power and requires revenge on the breaker of her world. Yet it is more than loss and revenge, it is also a poignant story of community and the lack thereof. It must be by sheer accident that this other example of a great short story is narrated by Ms. Baker as well. So, if you haven’t read or listened to short stories in awhile, I hope this glimpse encourages you to do so. These are some great venues in which to dive into the short story world. If you’re a long time aficionado of short story, I hope I’ve given you some more fodder to feed your habit. As always, if you like the work being done at Bastion and Clarkesworld and you want it to continue, there are a plethora of ways to support them. Subscriptions to both Bastion and Clarkesworld are available at Weightless Books, but there are lots of others ways to support their work so it can keep on coming. 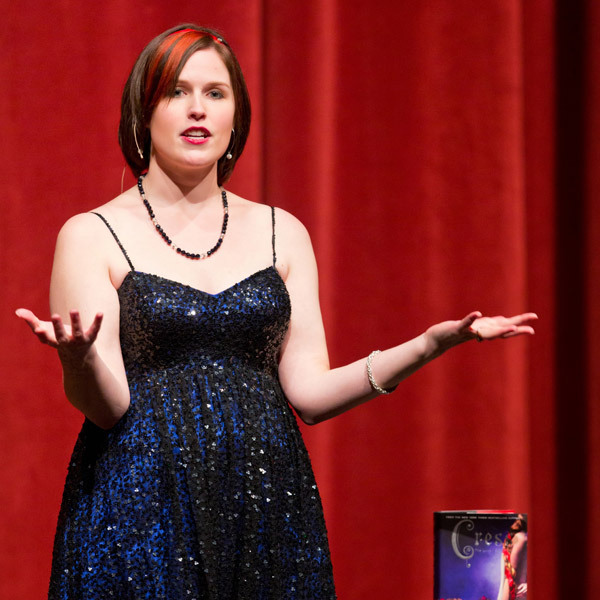 ‘The Waiting Room’ is the debut novel by Alysha Kaye. I’m delighted to host the lovely Alysha Kaye on her blog tour for The Waiting Room. This is really a delightful story where the author uses a waiting room for your next life to deal with issues of love, life and existence within the context of a couple who are separated by an early death. This isn’t intended to be a theological treatise or an argument for reincarnation, rather it provides a nice narrative framework to reflect on these issues within the story arc. For a little more formal description. The Waiting Room is primarily a story of love; yes, the love of a couple but also about people learning to love, recognizing love, nurturing love and the primacy of love. It, as the song goes, makes the world go around. As we follow this couple, we see the impact of their love for each other on their lives, the deaths, their new lives, those around them and even the waiting process between lives. This premise allows Ms. Kaye to strip away what isn’t essential to our identities and our lives. As we follow this reincarnation process, we see that Jude becomes a new person in this next life but it’s Jude in this new form. What makes him Jude? He has a new name, look, family, attributes (now blind and black from sighted and white)? Ms. Kaye seems to suggest that what makes the new person still Jude is how he loves, his moral character and being a guy. Everything else can change, but those remain constant. Along with thinking about what makes you, you, she reflects on what gives us significance. What, in other words, is worth pursuing and has impact on us and the world around us? That, my friend, is love. All that we do hinges on love. I don’t just mean romantic love (though that’s definitely included) but our relationships, our work and our relationship to our environment. Through a series of vignettes of Jude and Nina’s lives, it becomes apparent that if you pursue some task or thing as a higher priority than others (spouse, family, friends or neighbors), then the significance (and peace) of your life diminishes. So, while work is important, it’s how and why we do what we do more than what we do. For example, in one life, Nina is a baker. 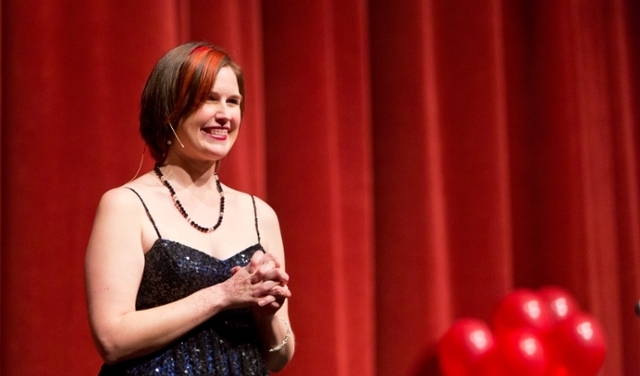 She really pursues that passion and builds a successful business. It is successful largely because it is one context in which she expresses love. In another context there is a seriously failed Thanksgiving dinner for a broken family; they love money more than each other. I dare not go any further in fear of giving too much away, but look for love or the lack thereof and see what happens. Please note that this is not, as I indicated above, a philosophical or theology treatise. This is a novel using a paranormal twist to conduct a thought experiment in the context of story. The story is a good one. Every time I thought I knew where Ms. Kaye was going to go in the next lives lived out, I was wrong. Even the way people wait changes throughout the story. Jude and Nina are not perfect. All questions are not answered, but going through their lives is a terrific and entertaining way to explore those questions. Ms. Kaye does a beautiful job with the characters who people her story; I really came to love Jude and Nina (even in their various incarnations). I also came to love the curmudgeonly manager of the Waiting Room (Ruth) as well as others. So just as a pure story, it’s fun – what’s going to happen to Jude and Nina in the next iteration of their lives? – what will they be like? – how will the Waiting Room change will they return from the land of the living? So I commend Ms. Kaye’s debut novel to your reading for a great story that’s also thought provoking. I look forward to Ms. Kaye’s future work. 1. Who was most influential on your love of books and writing? What pushed you over the edge to take the dive into writing a book? My mom really got me into reading when I was little- I’ve thanked her for that a million times! As for writing, I really owe a lot to a few supportive English teachers I had. I always knew I wanted to write a book one day, but I guess what really pushed me was the whole concept of this room. Once you have an idea in your mind that won’t leave you alone- that’s when you know you need to write! 2. What do you find the hardest and (comparatively speaking) easiest aspect of writing? I think the easiest part is finding inspiration- every time I meed someone new, I immediately want to create a character around them! The hardest part is finding time. Most writers have full-time jobs outside of writing and it seems impossible sometimes to set aside time for writing. 3. Being married to an 8th grade English teacher, I have some insight into how challenging your schedule is. How do you work in your writing in the midst of grading, lesson prep and other school activities? Wow, I didn’t know that! Hats off to her! 8th graders are no easy task haha Like I said in question #2, it’s definitely difficult. I’ve worked out a system in which I do ALL my work in my classroom (during my planning period, during my lunch, before/after school) and then when I come home, I have the whole night to decide whether or not I want to squeeze in writing. Sometimes, dinner and Netflix win the fight. 4. What aspects of self-publishing do you love? Which ones do you find the most difficult? I love the fact that I have complete creative control. I hate the fact that I have to market all by myself…it’s been time-consuming to say the least. 5. What’s been the most interesting reaction to The Waiting Room? I was shocked to find out that many people assumed this was the first book in a trilogy or series…that was never my intention! 6. Do you identify with any of your characters? Definitely. I think a piece of me shines through a few of them. Nina is an English teacher, like me. Jude is extremely sarcastic, like me! Alondra writes mediocre poetry at night, like me… haha I could go on and on. 7. Did working on The Waiting Room influence any of your real world thinking/choices? It definitely made me question religion, spirituality, philosophy…more than I ever have before. I really dove into the age-old question of what happens after we die? 8. It appears that, at least in The Waiting Room, our essential qualities are how we love, our moral character and, possibly our gender. Even what we think of as personality seem to differ for some, but not for others. Pretty much everything else, race, religion, career and country can all change and it’s still the same you going through one door and returning through the other. Do you think that’s an accurate reflection of the essential qualities of a person? In others, what makes Nina and Deb the same person? I do think our morals, our ethics, our “being” if you will, are what truly make us who we are. Obviously, in the present day world we live in, our race/career/religion/country play a huge role in how we’re perceived, how we’re treated, and how we live our lives. But when it comes down to our souls? In The Waiting Room, these things are trivial, as I think it should be if there is a Heaven or an afterlife of any kind. The most important thing is our hearts…and how we use them! 9. So I’m on the tail-end of the blog tour. How has it been for you? I’m loving it! I have a new obsession with WordPress and fellow bloggers. We indie authors live for people like you, who are willing to help us spread the word! 10. Do you have any active projects underway? Anything you can share? I had started a new novel about a year ago. I only have one chapter written. 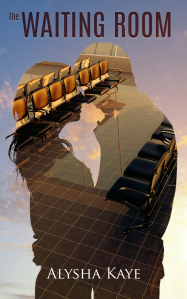 It’s realistic fiction, no fantasy/paranormal element like The Waiting Room. I’m not sure how I feel about it. Now that I’ve published this novel, I think I’d like to stay in the realm of realistic with a twist of fantasy/paranormal. Bonus question: this is none of our business, but are you still with the guy who inspired the poem you wrote that, in turn, inspired the book? How did he respond to the book? Actually, I’m going to cheat a little here and refer you to David Franklin’s excellent site (how can you not love an asker of wrong questions from the Kingdom of Wessex? ), The Wessex Literary Review in which he posts an except from Chapter 2 of The Waiting Room. 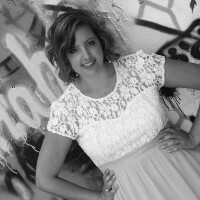 Alysha Kaye was born in San Marcos, TX, where she also received her BA in Creative Writing from Texas State University. She worked in marketing for a brief and terrible cubicle-soul-sucking time until she was accepted into Teach for America and promptly moved to Oahu. She taught 7th grade English in Aiea for two years and also received her Masters in Education from University of Hawaii. 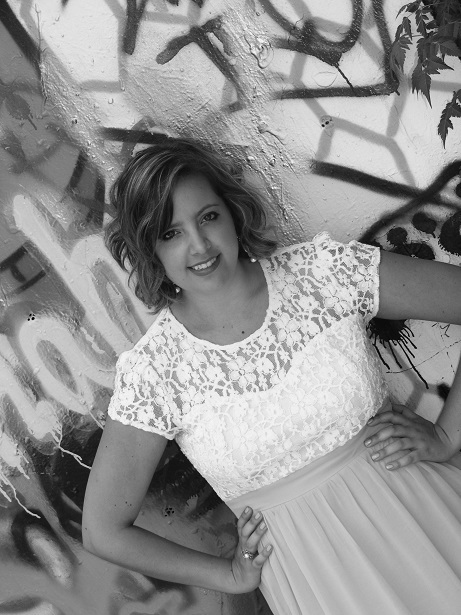 She now teaches in Austin, TX and tries to squeeze in as much writing as possible between lesson planning. She dreamt about The Waiting Room once, and offhandedly wrote her boyfriend a love poem about waiting for him after death. Somehow, that became a novel.